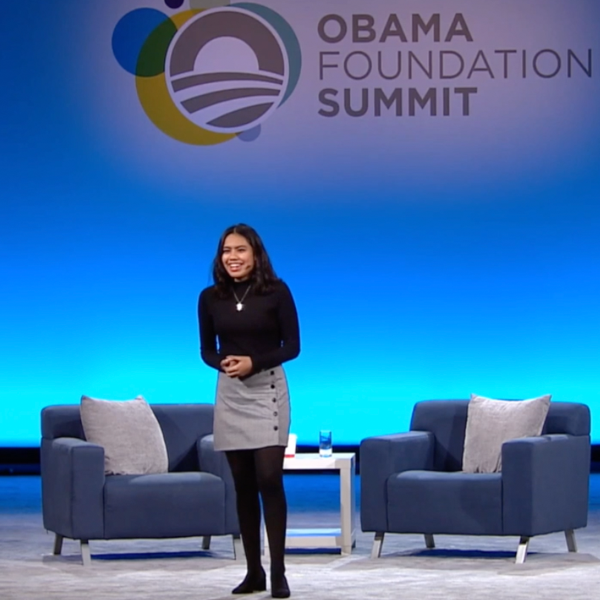 On Monday, November 19th, long-time 826CHI student, Esperanza Rivera, joined President Barack Obama and 826 Co-Founder Dave Eggers on stage at the 2018 Obama Foundation Summit for a conversation about youth leadership and power of youth voice. Esperanza shared a few words about her experience as a writer and published author, the impact of 826CHI on her and her family, and the experience serving as 826CHI's delegate at the International Congress of Youth Voices. Watch her introduction now!